Large Floral Chandelier with brass arms and twelve lamps. This large floral chandelier originates from 1930s France. It has been sympathetically restored to retain it’s beautiful distressed patina. The floral metal pieces have been previously sprayed with brass effect paint and flecks of the green paint beneath this are exposed in places as well as the silver metal. 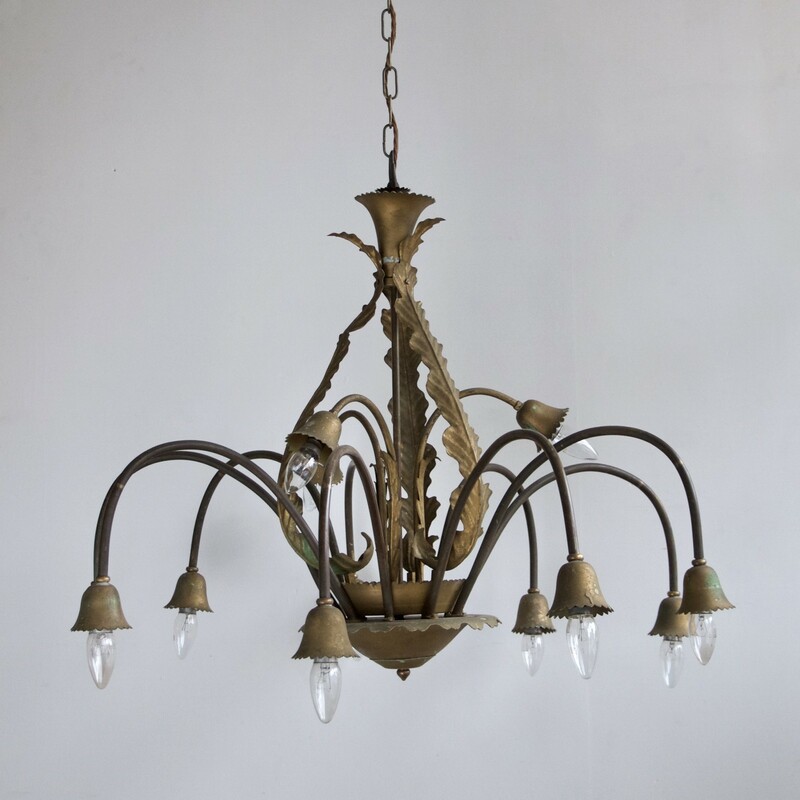 The chandelier has a very organic shape with its tubular brass arms and floral metal pieces. The chandelier comes supplied with braided flex, chain, a ceiling rose and a chandelier hook plate. Chandelier requires twelve BC lamps, these are not included. This chandelier has been fully restored and rewired here, in Stockport, near Manchester by our small team of experts and is now ready to be installed. We recommend that this large floral chandelier is installed by an electrician and into a joist or a supporting noggin. To clean the chandelier dust the metal components regularly with a soft cloth.